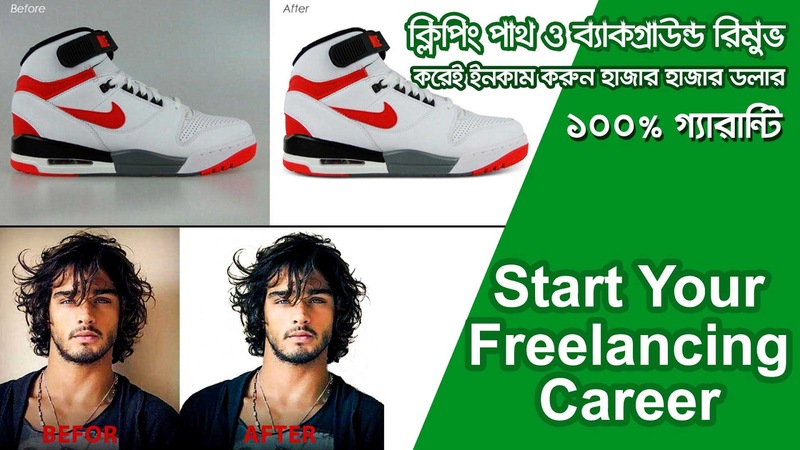 This Tutorial you can learn Clipping path Bangla Tutorial for learning about clipping path, background removal, Quick photoshop tricks & Start your Freelancing Career.Earn Money 100% guaranty. There are various types of tools in Photoshop to process for removing white background like Pen tool, Magic Wand tool, Quick selection tool, Alpha Channel Masks. Pen tool is one of the most incredible and flexible tools for removing white backgrounds from an image. The process is called clipping path which is made by powerful pen tool. Clipping path is needed when you want to remove an image background.